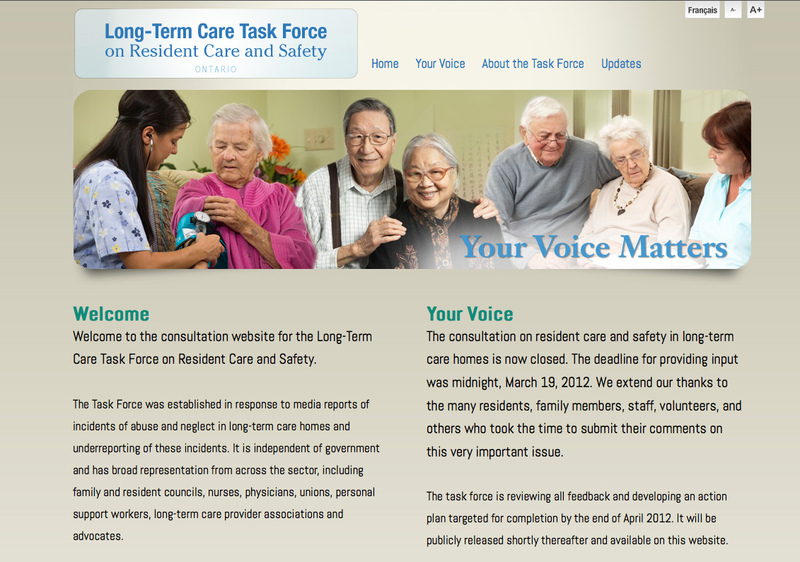 The Task Force was established in response to media reports of incidents of abuse and neglect in long-term care homes and underreporting of these incidents. It is independent of government and has broad representation from across the sector, including family and resident councils, nurses, physicians, unions, personal support workers, long-term care provider associations and advocates. The task force required a very easy website for the publlic to provide feedback and they also required a secure back end to share documents between task force members. The project includes a english and french version as well as promotional posters in both languages.